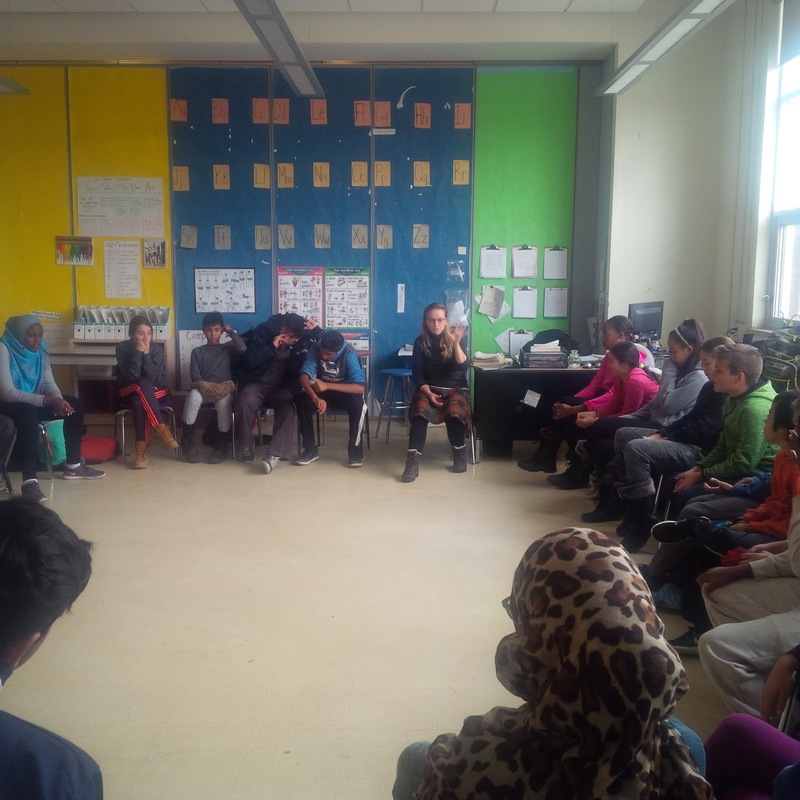 I am a theatre artist and an education consultant providing professional growth training, facilitating community-based projects using theatre arts to create dialogue in diversity and complexity. Please drop me a note in comments, I would love to hear from you. 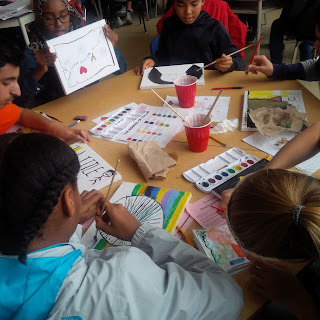 For second year now, I have been working with artists and young people from Toronto middle and high schools on supporting the work and dedication of Youth Without Shelter, a shelter facility in Etobicoke. 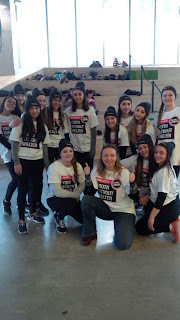 Unbelievable number of up to 2000 youth are homeless in Toronto on any given night.We are raising awareness and funds to change that. One of the barriers the young people face once at the shelter is that they cannot finish school for lack of transportation funds. 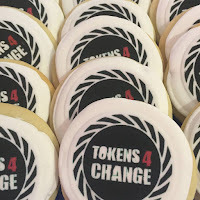 Tokens4Change title of the campaign emphasizes the need for education on the young people's path to success in life. as an artist, I created theatre for social change presentations with students from Cardinal Carter Catholic High School and from Crescent School, all boys private school. We will present the pieces to the public on Feb 3rd at the Spadina and Yonge/Bloor subway stations. Cardinal Carter's presentation at the student rally at Tangerine downtown Toronto. Hudson College, Crescent School, Havergal College, Cardinal John Carter Catholic School for the Arts, Rawlinson Community School, and Father John Redmond Catholic School for the Arts. to introduce the movement of arts for social change to students in the participating schools. It has been a great pleasure to work with dedicated and compassionate teachers and students at the participating schools. Thank you, Brachout Theatre for this incredible opportunity. And thank you Toronto for supporting the campaign with real action. With Stephanie Dotto and Lauren Spring, I facilitated a theatre devising project with a group of girls from Lawrence Heights Middle School. Inevitably, theatre devising process is an intimate endeavor. I cherish the moments of creativity as the girls improvise dialogue and movement for the piece. And I also cherish the challenges of the rehearsal process as they are great teachers for both me, the facilitator, and the girls. 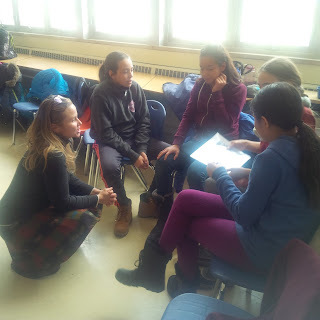 Stephanie, Lauren, and I have been challenging the girls constantly with critical reflection not only on the historical and social issues discussed, but also on their own behaviour and attitudes displayed toward each other. One rehearsal session ended up with a physical fight between the girls. 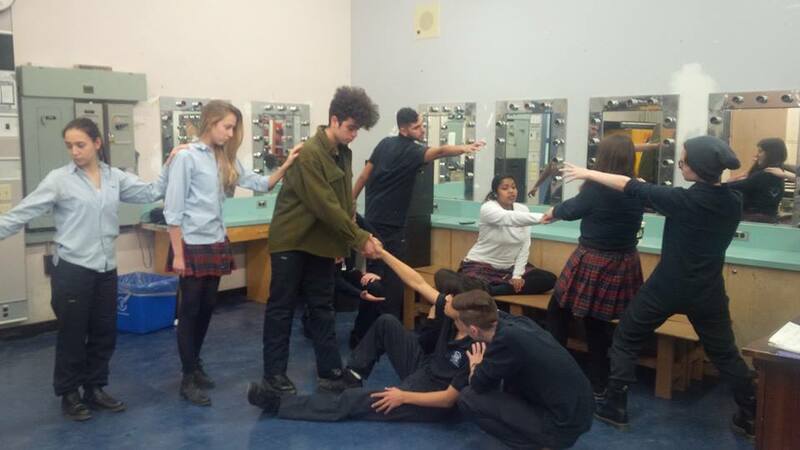 The next session, Stephanie, Lauren, and I created a short Forum Theatre piece showing bullying and escalation into physical violence. The girls were instantly drawn to the story we presented to them and stayed focused the entire hour. 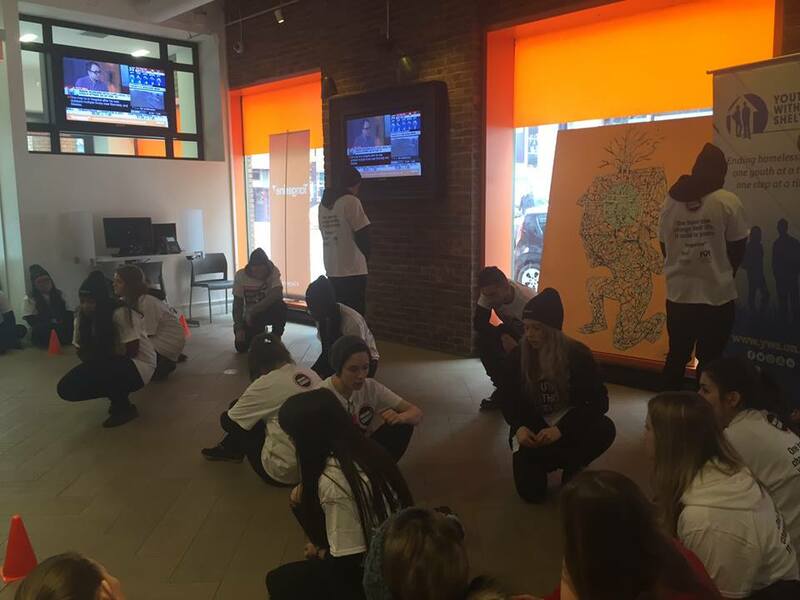 We asked them to step into the shoes of the bullied girl and suggest a different approach to manage the situation. And we also asked them to consider potential allies in such situation and what their role might be. 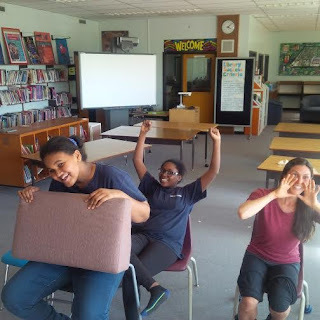 The girls knew just the effective solutions or options for such volatile situations in the safety of our forum theatre "lab". However, in real life situations, they still have a long way to go. 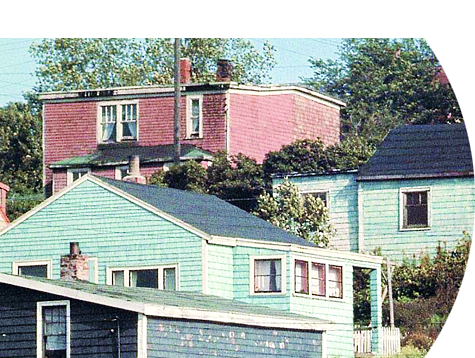 The theme of our work is what a community is for those who live in that community and how a community is perceived from the outside. 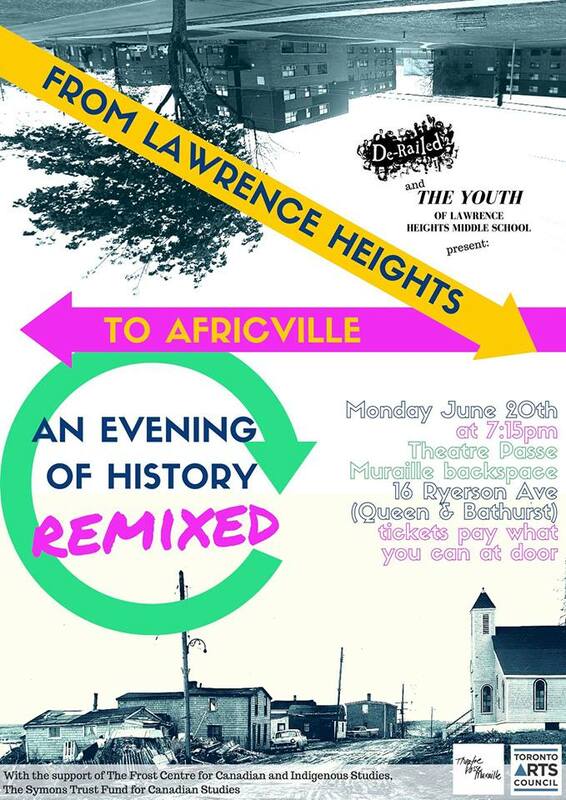 The two communities juxtaposed to bring the theme forward are contemporary Lawrence Heights, Ontario and historical Africville, Nova Scotia. 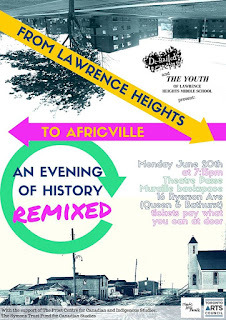 De-Railed and the youth of Lawrence Heights Middle School will be presenting their play, From Lawrence Heights to Africville, on Monday, June 20th, at 7:15pm at Theatre Passe Muraille. The show is pay-what-you-can with no minimum donation required or requested. After the performance, the students will host a talk-back and there will be a reception with treats. YOUR STORY MATTERS offers the teaching community a unique opportunity and a fundamental principle for professional growth – to collectively and critically reflect on their teaching practice. The training merges critical pedagogy and experiential learning. It will greatly contribute to the quality of teachers’ professional growth as it addresses the realistic challenges and relationships faced in schools and aims to equip teachers with the tools to actively promote positive change. allows teachers to rehearse best practices for real life. In professional conduct, teachers experience high stake situations. After an unsuccessful encounter with a student or an unproductive exchange with a colleague, they regret: “If only I...” However, they cannot take it back. Yet, in a safe training environment, we have the opportunity to pause to reflect, and rewind to practice new approaches. We learn by doing, not by being told. Information is useless without the power to act upon it. The training is conducted in fun, relaxed, and caring environment.